Jackson was found as a stray and taken to the Campbell County Animal Shelter with what was thought to be a broken leg. X-rays revealed he’d actually been shot and had a bullet in his leg. The vet thought he would do best without bullet removal. We paid the bill for the x-ray and then sponsored his neuter. Jackson was found as a stray with a terrible leg injury. For the Love of Paws graciously took him into their rescue. According to the vet, the injury is irreparable; therefore, amputation has been recommended. While it’s always hard to see a three-legged dog, Jackson will be without pain once the leg is gone. We contributed $300 toward the surgery cost. Family of Five is Saved! Recently, a little kitty family of five was taken to the shelter, all abandoned right here at the holidays. Thankfully, the Loudon County Friends of Animals was there and pulled them into rescue. HPAN was called on to assist with their vetting, which includes FIV/FeLV testing, spay/neuter, deworming, ear cleaning, vaccines, and flea preventive. According to their rescuer, “These babies get the works.” We contributed $250 to cover the expenses. 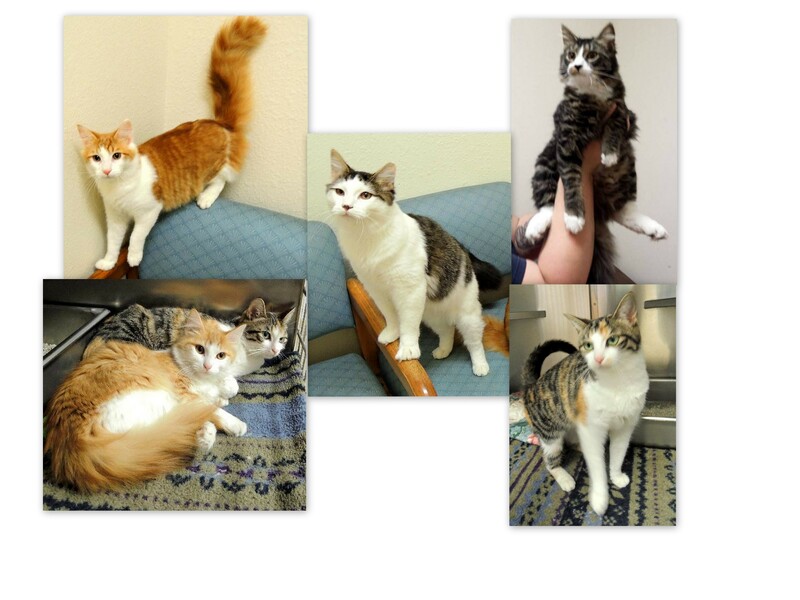 Two of the kitties have been adopted and will be picked up over the Thanksgiving weekend. Now that is something to be thankful for! Anyone interested in adopting one of these precious babies should contact LoudonCountyFOA@yahoo.com.